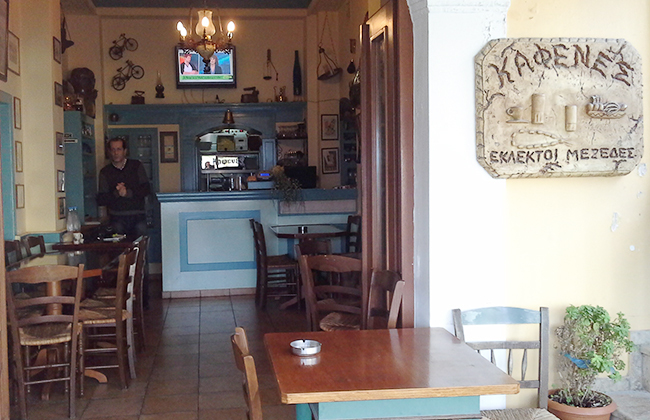 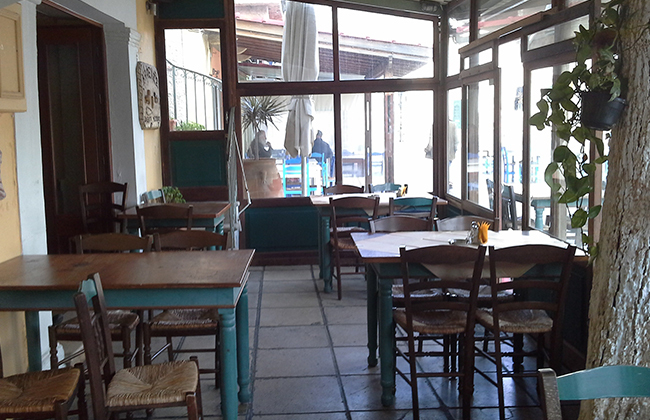 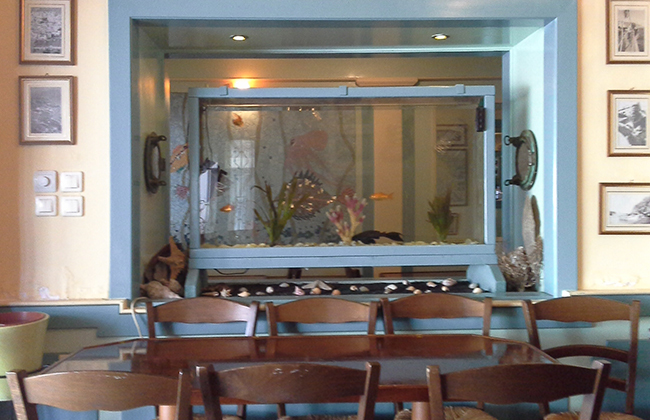 Kafenes is a traditional cafe - tavern that belongs to Mr. Stelios in Christ Square, operating since 1950, and reminds old Greek movies. 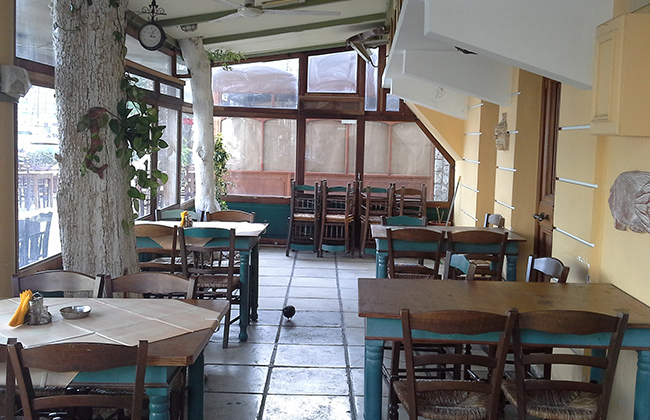 Worth a visit for an evening tsipouro overlooking the hill. 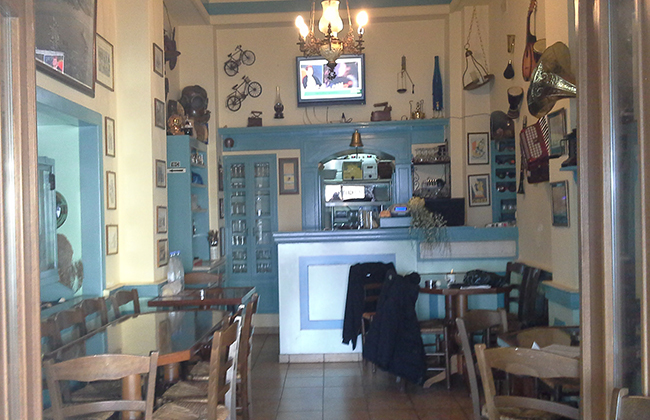 Very good seafood at good prices. 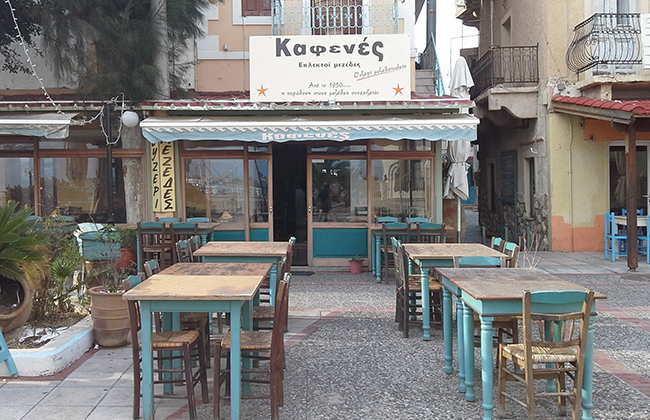 Evereything is traditional, from tables and chairs to the old photos on the walls and the delicious dishes on the table (salad mirmizeli, fresh fried calamari, grilled octopus, mountain greens, fresh fried potatoes and local white wine) and of course handmade pastries.